This January, like others before it, your local gym will fill up as optimistic souls resolve to get in shape once and for all. And for real this time. Exercise more. Lose weight. Stop smoking. 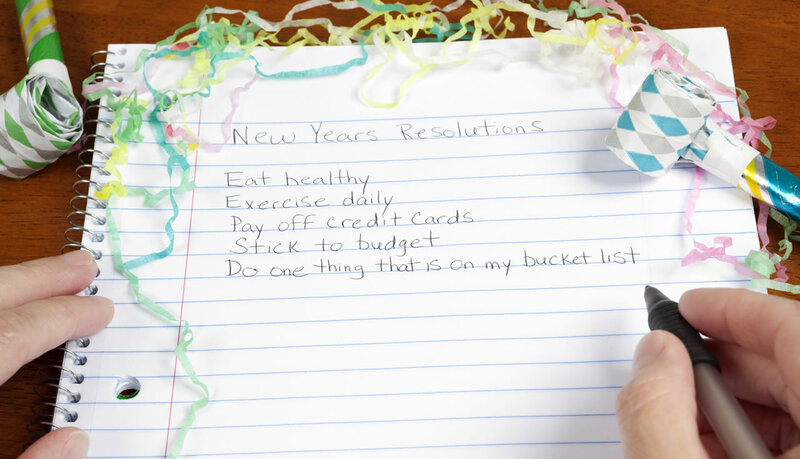 These are among the most common new year’s resolutions people make. Financial resolutions are also very popular, as folks resolve to manage money better, reduce debt and save more. Don’t get me wrong, I think it’s admirable that many of us set time aside for reflection and self-appraisal at the start of a new year. We assess what has worked well in the past year and what hasn’t. And we make these resolutions to turn a new page in our lives. But the road to hell is paved with good intentions. Sadly, most new year’s resolutions don’t last. Researchers found that the majority of people who make new year’s resolutions start abating by February. By June, most are back where they started or even further behind! One reason for this is down to what psychologists call the “false hope syndrome.” This means the resolution is significantly unrealistic and out of alignment with your internal view of yourself. You may think that if you lose weight or exercise more, your entire life will change. But when it doesn’t, you get discouraged and revert to your old ways. So instead of making a long list of new year’s resolutions, it is far more effective to focus on one specific, realistic goal. Take small steps. Many people quit because the goal is too big, requiring too big a step all at once. It also helps to have an accountability buddy, someone close to you that you report to. Be mindful that you will likely falter along the way. Don’t wait till New Year’s Eve to make resolutions. Make it a year long process, every day. And finally, celebrate your success along the way and enjoy the journey.